Intuition forms a vital part of how we make decisions in life, yet many of us don’t know how to use it properly. My guest today, Craigh Wilson, has devoted his life to helping people understand what intuition is and how it can benefit their lives. Craigh is a mentor and speaker and the author of the bestselling book INUITIVE: How to access and use your birth-given intuition. Craigh says your inner-voice can guide you to a happier life – all you have to do is listen. You have to start by asking yourself honestly about the state of your career, health, and your relationships. The answers to those questions may not be easy to hear. The heart is the first cell created in the development of the human being. The gut is next to develop and is also home to 200 million neurons – which is far more than the brain. The mind or brain is next to develop. Intuition is connected to a larger knowledge that is everywhere in the universe. If you are clear in mind and heart you tend to make better decisions. 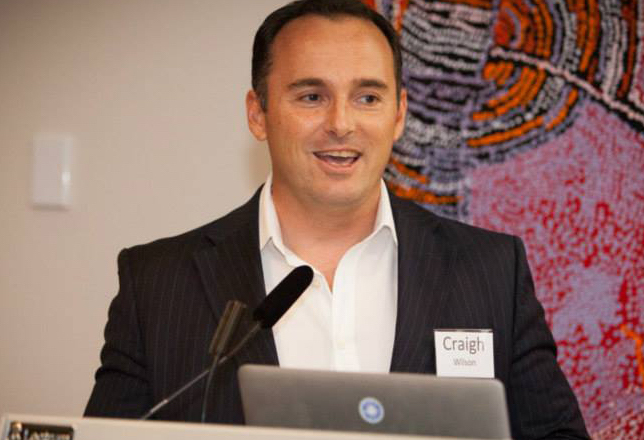 Craigh believes that thinking less is key to achieving a happier mind. Reducing the amount of thinking in the brain by 10 to 20% will help you to achieve a more meditative state. When you are thinking less you are not thinking about negative things. When you switch to a more meditative state and are willing to follow your heart, things get better. It’s about being happy with yourself. A childlike state of being will allow you to engage with the world differently. Your relationships will improve. You will be able to value yourself more accurately. Being guided by your ego or by your emotions that is not intuition. Doing things from a selfish place is not intuition. You have to be able to tell the difference. You are being called to a higher level of responsibility and ethics.